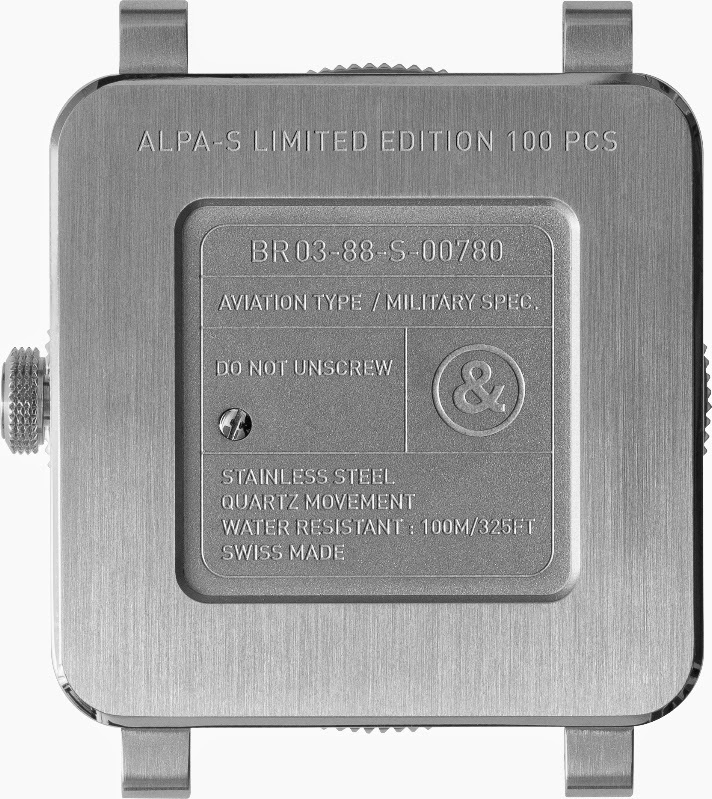 Swiss watch brand Bell & Ross has created a limited edition of 100 pieces exclusively reserved for ALPA-S. First started in the early 1960s, the Air Line Pilots Association- Singapore (ALPA – Singapore) is the professional body representing the pilot profession in Singapore. It is a member of the International Federation of Air Line Pilots Association. Its primary mission is to enhance aviation safety and to promote the highest standard of professionalism and technical competence among its members. This is to ensure that the general public, who entrust their lives with us, are assured of the highest level of air safety when they travel in airliners operated by our members. It also strives to develop, support and enhance the integrity, status and interests of the airline pilot profession in Singapore. Bell & Ross is a designer of functional instruments for professionals working under extreme conditions and manufactures watches with a high level of reliability that are recognized for their unparalleled qualities: easy-to-read, functional, precise and water-proof. This makes them perfectly suited to the needs of pilots. For these professionals, a watch is not only a tool to assist them in their work, it is also a constant ally and part of their identity. Having decided to create a watch bearing their insignia and embodying their values of cohesion and professionalism, the ALPA-S naturally approached Bell & Ross to produce a special edition. The 42-mm diameter BR 03 AVIATION TYPE is an Iconic utilitarian watch which responds to the specific requirements of fighter pilots. It is fitted with a graduated bidirectional bezel and an ultra-precise multifunctional quartz movement, with six functions: alarm/chronograph/second time zone/timer/ date/ hours, minutes and seconds. Perfectly readable day or night because of its matte black dial, anti-glare sapphire crystal and imposing photo luminescent hands, the BR 03 AVIATION TYPE ALPA-S is also water-resistant up to 100m and powered by a high-precision Swiss movement with a power reserve of 40 hours. Simple and discreet, it is fitted with a black rubber or heavy-duty canvas strap guaranteeing durability and comfort. Produced in a limited edition of 100 units and engraved with the name, the batch number or the aircraft type of the pilot. 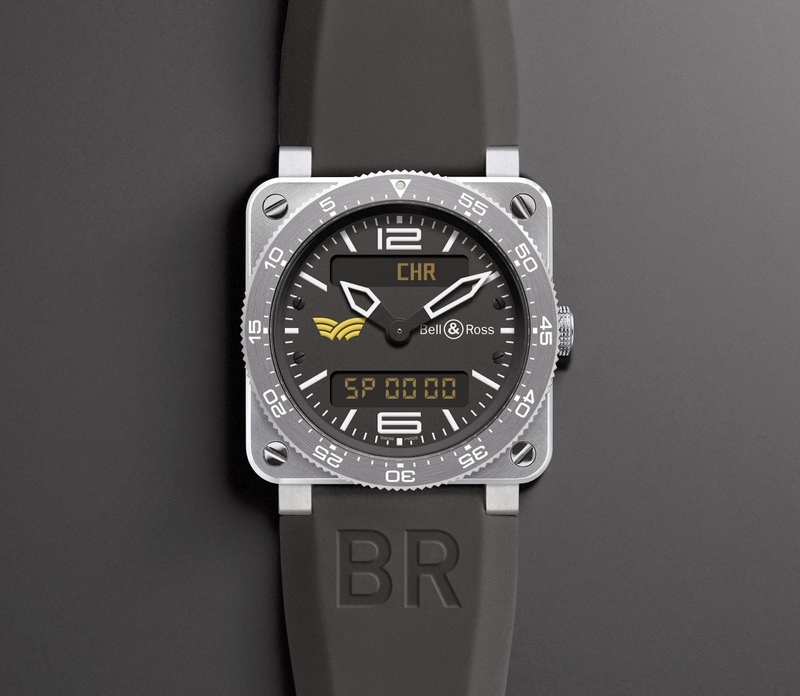 The BR 03 AVIATION TYPE ALPA-S instrument is exclusively available to pilots of the Air Line Pilots Association of Singapore. Glass: anti-reflective coated sapphire glass. Analogue display: indication of hours and minutes. Digital display: digital display is optional: the wearer can choose whether or not to display the information on the following functions digitally: No digital display (OFF selected) – alarm (ON 1 selected) chronograph (ON 2 selected) – second time zone (ON 3 selected) – timer (ON 4 selected) – perpetual calendar (ON 5 selected) – seconds/date (ON 6 selected) – digital time (ON 7 selected).